← AGM this Sunday, April 29! 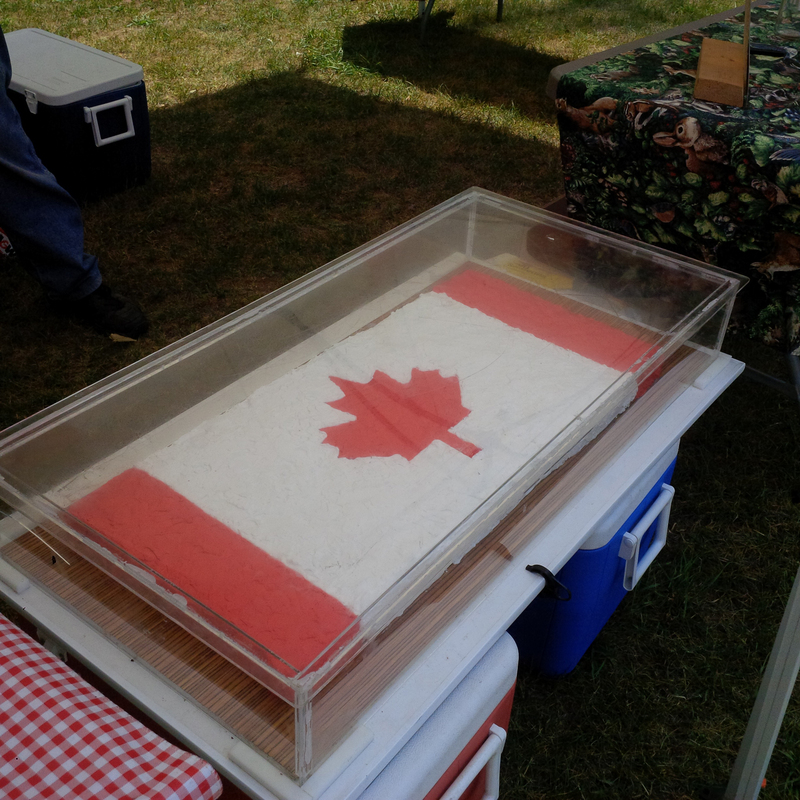 Our ever-popular Canada Day festivities will take place again this year, thanks to support from a Canadian Heritage grant! On Sunday, July 1st, Friends volunteers will be setting up a BBQ on the main beach from 11 a.m. to 2 p.m. 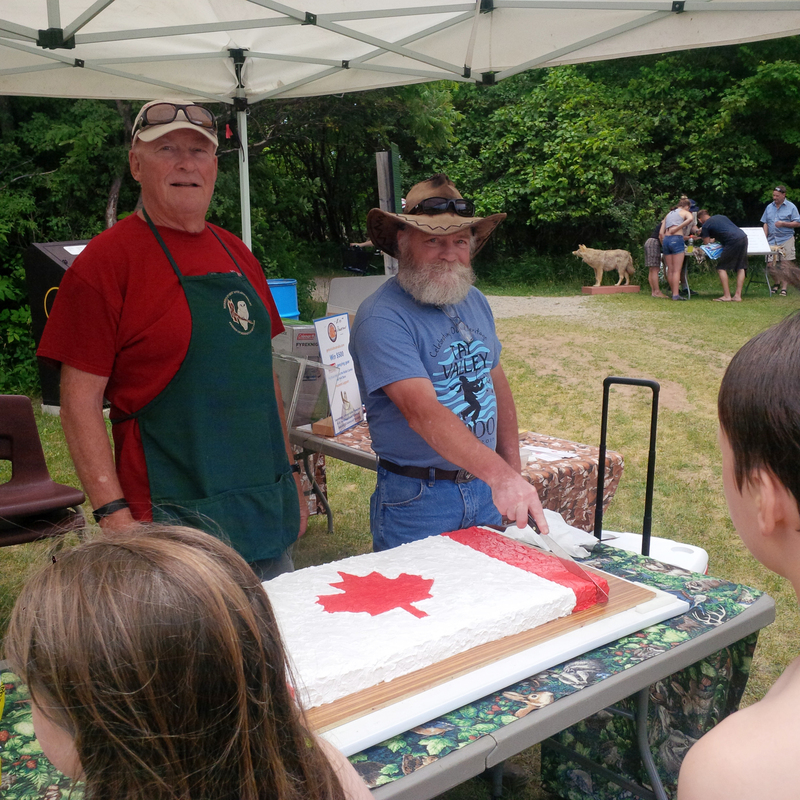 There will be FREE Canada Day CAKE, and Tay Valley Township Reeve Keith Kerr will join us to help cut and serve the cake. 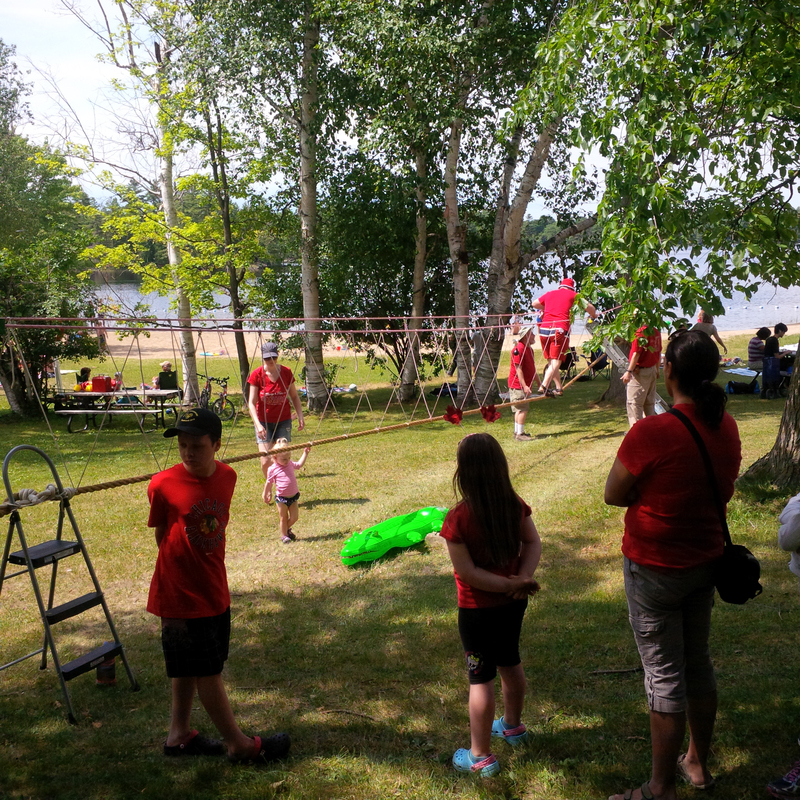 Our intrepid Scouts Canada volunteers Dave and Lynn will be setting up the annual Rope Bridge at the beach, which is fun for the kids. And that’s not all! 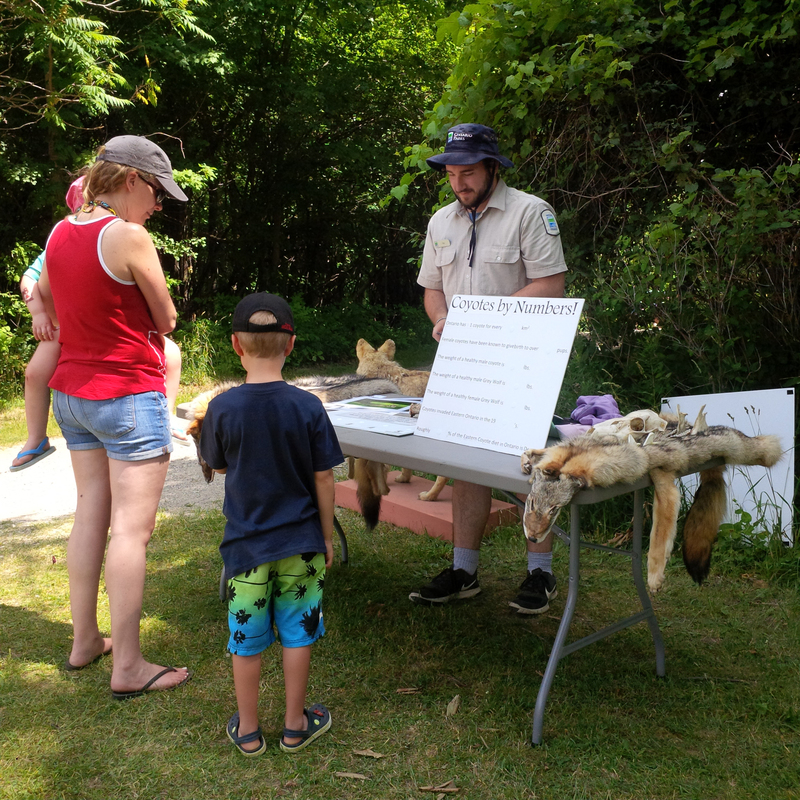 Finally, Wild Ontario, a raptor-rescue facility from Guelph, will be delivering an evening presentation at the amphitheatre at 7 p.m., featuring 4 live raptors, again, courtesy of the Canadian Heritage grant. 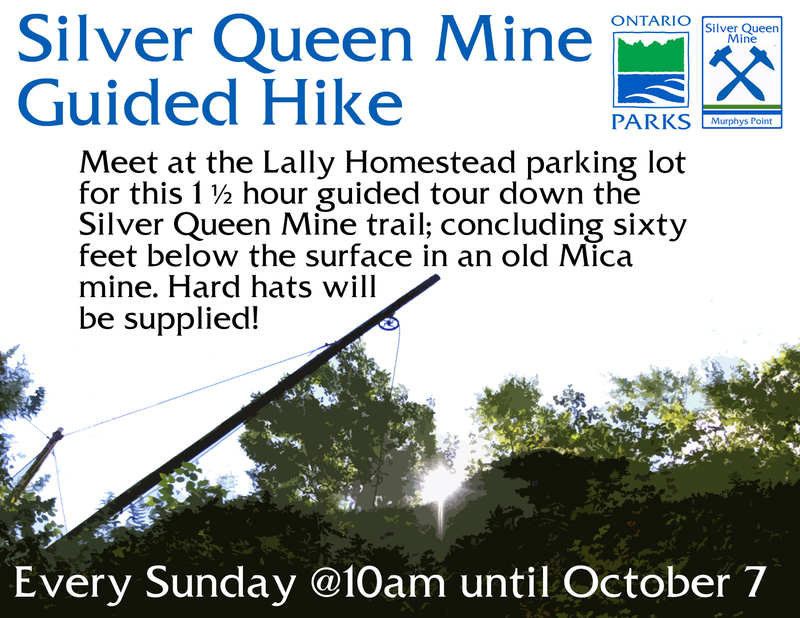 Park day use fees apply, but there is tonnes to do at the park on Sunday, including the open house at the mine. Stay tuned for the NHE program schedule – coming soon!